For full specifications, histories and photos of the organs, please click on the blue names of the churches/concert halls. 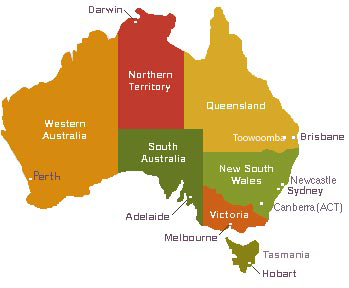 Details for many of Australia's organs can be found on the Index to Organs of Australia with links to the Organ Historical Trust of Australia and the Organ Music Society of Sydney websites. The churches and halls listed below all have organ recitals from time to time. Some may only have one recital per year, others have one per month, while others have an occasional or weekly series. Fees paid in Australasia are mostly very low. Many of the recitals are free to the public and the organisers rely on audience donations to provide a small fee. Only a few venues offer a professional fee. More organs in Sydney can be found here. 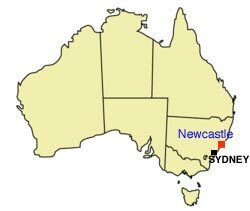 More organs in New South Wales can be found here. More organs in Newcastle can be found here. Christ Church Anglican Cathedral, Church Street. Earthquake damage repairs and three additions by Peter Jewkes completed 1998. 2 manuals, 26 speaking stops, 3 couplers, mechanical action. More organs in Melbourne and Victoria can be found here. 1998-1999 Rieger Orgelbau, Schwarzach, Austria. 4 manuals, 68 speaking stops, 9 couplers, tracker & electric action. More organs in Brisbane and Queensland can be found here. 4 manuals, 81 speaking stops, 24 couplers, el.pn. More organs in Adelaide and South Australia can be found here. tracker & electro-magnetic stop action. 1855 James Eagles, London. Reb. & enl. 1886 Fincham & Hobday. Reb. & enl. 1902 J.E. Dodd. Reb. & enl. 1927 W.L. Roberts. since enlarged, revoiced and new console by George Stephens. reb 1951 J.E. Dodd & Sons Gunstar Organ Works. Overhauled and rev 1982-1991; new console 1998 George Stephens. Reb & enl 2003 Australian Pipe Organs and George Stephens. More organs in Perth and Western Australia can be found here. 46sp.st., 6c., tr. key action, el.stop action. 17sp.st., 4c., tr. key action, el.stop action. Additional console controlling west and chancel organs on electric action. (3) chamber organ, B. 1988 Knud Smenge. 1m., 4sp.st., no pedals, tr. The Basilica of St Patrick (Catholic), Fremantle. 1996-1997 South Island Organ Company, Timaru, New Zealand. Some organs in Hobart and Tasmania can be found here. 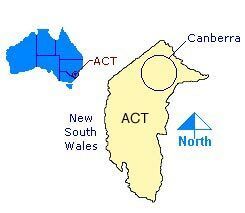 More organs in Canberra can be found here. capture action 40 levels of memory, electro-pneumatic. List compiled by Mark Quarmby.